The Weekend Aesthetic is a feature where I post book aesthetics on the weekend. They might be of a book I’m currently reading or recently read or read a long time ago or even one I consider to be a favorite of mine—there’s no rhyme or reason to it! Royals is such a cute, funny, and entertaining story! There’s fake dating, which is one of my favorite tropes, and I adored the characters! Daisy’s narration is hilarious and Miles is a totally swoon-worthy love interest. I highly recommend this one for rom-com fans! And, in preparation for a sequel companion novel, Her Royal Highness (which I am SO excited for btw) Royals has gotten a title and cover change so keep a look out for the Prince Charming paperback in stores in May. 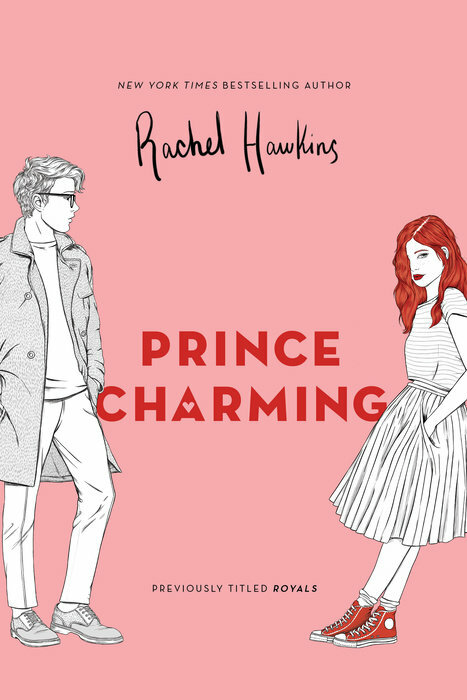 Originally published as “Royals,” New York Times bestselling author Rachel Hawkins serves up a deliciously royal romance, perfect for fans of Sarah Dessen and Huntley Fitzpatrick. Meet Daisy Winters. She’s an offbeat sixteen-year-old Floridian with mermaid-red hair, a part time job at a bootleg Walmart, and a perfect older sister who’s nearly engaged to the Crown Prince of Scotland. Daisy has no desire to live in the spotlight, but relentless tabloid attention forces her join Ellie at the relative seclusion of the castle across the pond. New York Times bestselling author Rachel Hawkins brings her signature humor, love of Americana, and flair for romance to this page-turning Princess Diaries turned-upside-down story. What are your favorite royal romances? I love Hawkins, and Royals really showcased her awesome humor. I LOVED It! I hope I can get a copy of the companion book, and I was hoping she would write books featuring Miles’ whole crew. You have the perfect pictures up there. The man really captures Miles’ personality. Thank you, Sam! I had trouble finding the *right* guy to represent Miles, so I am really glad that you like my choice!! I would so be here for an entire Royals series! The only other series I’ve read of her’s is the Hex Hall series, but I’m excited to also check out the Rebel Belle books! I have read all of Hawkins’ books. Sort of mad she never went back to the Hex Hall spinoff, but I am really happy with this series. Yeah I agree! I definitely thought there was going to be another book in the spin-off series. This sounds like a fun royal romance. And I like the photograph of the particularly fine tiara! Yes!! It’s such a fun book!! I loved it!